Located in the scenic St. Croix River Valley, Franconia Sculpture Park is a 43-acre outdoor sculpture park with an active artist residency and community arts programming. The Minnesota Department of Transportation gave the park an opportunity to display a brochure in tourism kiosks around the state. 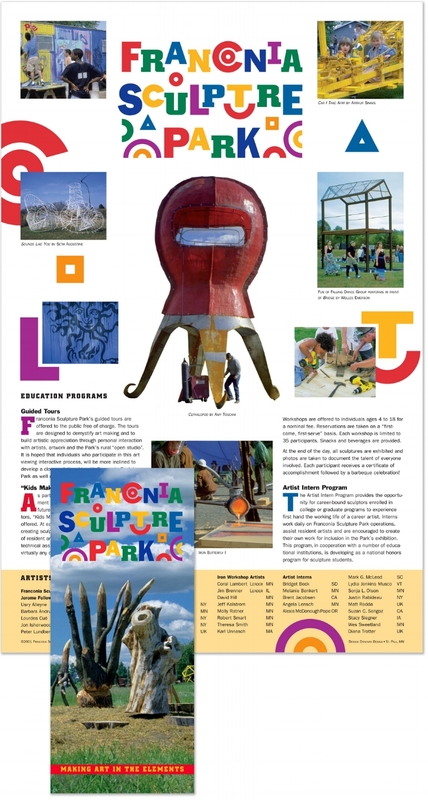 The logo and the brochure were designed to attract visitors by stressing the fun and educational events for traveling families. Poster folds down to a 3.75"w x 8.5"h brochure.